So you are thinking about buying a boat! But how do you go about buying a boat? Where do you start? You need to ask yourself several questions. What do I want to do with the boat? Where can I store the boat? You also need to consider whether you are going to able to spend enough time on the boat to justify the large investment. So many people buy a boat, and then work or life takes over and they then spend less than 4 weeks in total on the boat. They still have the running costs of maintenance, licensing, moorings, insurance and possibly finance payments to spend out on and they are not actually benefitting greatly from their dream boat. It is important to make sure that you will have enough time in your busy life to spend time enjoying your new investment. If you are not sure about whether you will have enough time to justify the expense of purchasing a nd maintaining a new boat, check our our section on shared boat ownership for an alternative method of enjoying the sailing life at a fraction of the cost. Are you looking for a leisure boat, speed boat, racing boat etc. Do you need something for a beginner or are you an experienced sailor? 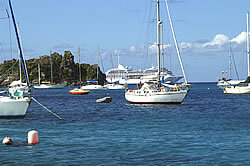 Are you planning on using the boat for inland or offshore journeys? If offshore, will this be sailing around the coast or going further afield such as day trips to France? 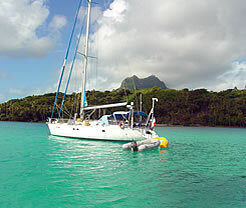 Do you need overnight accommodation on board, or will you be using the boat purely for day trips? All these above questions are essential to think about when choosing a boat. Write down your plans and what you will need from a boat. For example, if you plan to sail across to France etc you will need a large fuel tank than if you are going to be pottering around the coast. Your storage requirements will be different if you purchase a small dinghy, compared to a 30ft yacht. 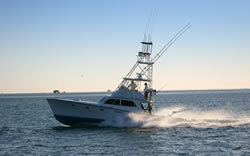 Check out our section on Boat Types for further information about the different sorts of boats available. In June 1998 the European Union (EU) initiated a Recreational Craft Directive (RCD) which introduced minimum standards that new boats built within the EU or imported into it have to meet. This directive applies to all pleasure boats with a hull length of more than 2.50 metres but less than 24.00 metres, and it divides the boats into four categories of sea going suitability. This can only be used as a guide as they give minimum standards only. Note that January 2005 saw an amendment to this directive come into effect. For more detailed information about this directive please go to www.dti.gov.uk/strd/recreat.html. A OCEAN: Designed for extended voyages where conditions may exceed wind force 8 (Beaufort scale) and significant wave heights of 4 m and above, and vessels largely self-sufficient. B OFFSHORE: Designed for offshore voyages where conditions up to, and including, wind force 8 and significant wave heights up to, and including, 4 m may be experienced. C INSHORE: Designed for voyages in coastal waters, large bays, estuaries, lakes and rivers where conditions up to, and including, wind force 6 and significant wave heights up to, and including, 2 m may be experienced. D SHELTERED WATERS: Designed for voyages on small lakes, rivers, and canals where conditions up to, and including, wind force 4 and significant wave heights up to, and including, 0.5 m may be experienced. It could cost you just £300 for a second-hand dinghy, and a few thousand for a good second-hand yacht. If you are willing to spend some time and money refurbishing a boat you could get a cheap wooden boat for little money. They are cheaper than fibreglass boats but the latter take less maintenance. Classified advertisements in sailing magazines or on the web are a good source of information and will give you an idea of prices you will be expected to pay. Contacting your local (or local to where you are going to sail) sailing club would provide a great source of information and can often provide mooring services, boat maintenance facilities and parts at much reduced prices. At the end of the day, you can have as much fun in a boat costing £200 as you can in one costing £200,000. Buying a new boat is not a simple matter - it's not like going down the garage and buying a new car, it is more like buying a new house - there are always a few niggles after you move in that need to be sorted. Expect the same sort of niggles when buying a new boat. There is a lot of human involvement in the building of a boat, whether it be a speed boat or large yacht. This can possibly arise in small problems occurring during the build. However, if you want to buy a new boat, you can of course specifiy exactly what you want on the boat and it's name. If you are first-timer at buying a boat make sure you know exactly what you are agreeing to buy if you are buying a new boat. You will possibly be buying something that is yet to be built and boat salesmen can try to get away with confusing you will what you think you are getting, and what he wishes to sell you. Make sure you know whether the company you are dealing is the boat builder, the builder's dealer or an agent representing either of these two companies. It is important to know this as the company with whom you have the contract is the company responsible for any warranty claims. This may cause problems if they are not situated close to where you plan to store the boat. You can pick up some excellent used boats at good prices. Search the web or boat brokerage companies to see what is available. Again, make sure that you know exactly what you are purchasing, including any extras. Agree a delivery date and when you are responsible for the boat. Check out the website www.stolenboats.org.uk - this is an online database of stolen boats and marine equipment. All the information on the website is provided by the marine Insurance industry and the Police and is cross-checked with the Police National Computer. If you are purchasing a new boat, be careful not to pay too much money to quickly. Remember you will be putting down a deposit on something that does not exist yet, so don't pay more than 25% of the purchase price. You will be asked to make stage payments in most new builds, but ensure that your contract covers you if the boat builder becomes insolvent during construction. The British Marine Federation has produced a standard contract which is approved by the RYA, so you would be advised to use this if possible. Take professional advice if you are at all unsure about to what you are agreeing. Make sure also, that sea trials are conducted as part of the build, and don't hand over the final payment until these have been completed. Some builders will be keen for you to agree that the build is complete so they can get their final payment as this is most likely their profit. Don't get rushed into this. Delivery of a new boat can be an area of disagreement between the builder and the purchaser. Make sure your contract has an agreed delivery date, and sets out any penalties if the delivery is delayed. Check out the Finance section of this site to give you ideas of funding options. Obviously the larger the boat the more problems and expense there can be with storage. Small dinghies can be towed behind a standard car on a trailer, and then stored in a garage. Larger dinghies, or RIBs, or yachts will need storage elsewhere, e.g. boat storage yard, or marina. If stored off shore then you will need to purchase a small dinghy or inflatable to enable access to the boat. See the section on Boat Storage within this site to find out more information on options and possible costs.